Public Interest Guest Speaker Esha Bhandari, Equal Justice Works Fellow at the ACLU Immigrants’ Rights Project. We are very excited to welcome the Public Interest Guest Speaker for this coming Saturday (9/29), Esha Bhandari! 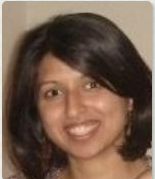 Bio: Esha Bhandari is an Equal Justice Works Fellow at the ACLU Immigrants’ Rights Project. She holds a B.A., First Class Honours, from McGill University, where she received the Allen Oliver Gold Medal in political science, and a J.D. from Columbia Law School, where she was a James Kent and Harlan Fiske Stone scholar and recipient of the Robert Noxon Toppan Prize in constitutional law and the Archie O. Dawson Prize for advocacy. During law school, Esha served as an Articles Editor for the Columbia Law Review, participated in the Human Rights Clinic, and completed an externship in the Legal Aid Society’s Immigration Law Unit. She spent a summer working on refugee rights matters at the Legal Resources Centre in Cape Town. Esha holds a master’s degree in journalism from Columbia University. Prior to joining the ACLU, Esha clerked for the Honorable Amalya L. Kearse of the U.S. Court of Appeals for the Second Circuit. If you’re curious about Esha’s experiences in law school or public interest law, please submit your questions (before this Saturday, September 29th) in the comments below.